Jiashan Skyflag Furniture Co., Ltd.
Poplar veneer Size: 4 x 8 Thickness: 0.45mm Grade : face a Wood pallet, strengthened by steel tape, covered by waterproof paper. Material: Poplar / Pine / Hardwood Specification: 10 ~ 120mm (D) any (W) * 8 meters long (less than 8 m can be any sawing) Glue: mr glue / green glue Features: the ideal packaging material, instead of solid wood products; product strength greater than wood, beautiful appearance; export fumigation materials; size is the size of the direct use, the utilization rate of 100% . Certification: rosh environmental test report of 6 certification Product packaging range: electronic enterprises packaging machinery packaging enterprises, craft products enterprises packaging, paper products, packaging and auto product packaging, glass packaging, machine tools, packaging, bearing packaging Test report: rohs 6 testing, environmental testing. 1) Inner packing: inside pallet is covered with 0.2mm plastic bag; 2) Outer packing: by pallet, wrapped in carton, reinforced with iron belt, 3) Seaworthy packing. Short on time? Let poplar sellers contact you. Qufu Luhan Woodwork Co, Ltd. Product name: Poplar plywood Main products: Plywood, platform, concrete form, blockboard & LVL Size: 1220 x 2440, 1220 x2500,1245 x 2485,1245¡Á2465,1220 x 2150, etc. Core: poplar, combined, hardwood, birch, pine, etc Face/back: Poplar, okoume, bintangor, red cedar, birch, pine, red canarium, or according to your requirements. The grade: A-F grade Glue: MR, WBP, E1, E2, Melamine, etc Thickness: from 2.5~25mm Moisture: 8-12% Applied to building, furniture, public building, and family upholstery Packing term: Inside: Pallets covered with a plastic bag Outside: Pallets wrapped with veneer and fastened by PVC / steel tape Certification: CE , CARB, ISO9001,etc. International stands: IHPA(IWPA), HPVA, BSI, JPIC Min Order: 1x40'ft GP container Payment: T/T or L/C at sight Productivity: 4000M3/Month. High quality, competitive price Plywood-use for Furniture, packing, door or decorations, and in-time delivery win us a good reputation from domestic and foreign customers. Size: 1220 x 2440, 1220 x2500,1245 x 2485,1245¡Á2465,1220 x 2150, etc. 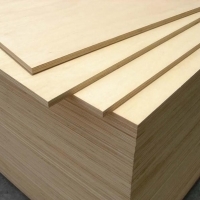 Commerical plywood: Okoume / bintangor / birch / poplar / pine, Laminated plywood: Melamine / HPL / Acrylic / PVC / PETG, Size: 1220x2440mm; Thickness from 2.5mm to 25mm. 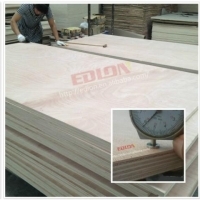 Poplar Plywood(Furniture Plywood) 1.Size:1220x2440mm or as your demand 2.Thickness:from 2.4mm to 30mm 3.Face and back:Okoume,or red wood 4.Core:poplar,Hardwood or as your demand 5.Raw materials: we use highest grade veneers, with very nice glue,. very hard pressing finish, sanded very well. 6.No pacthes,no knots, no splits, and no color differences Commodity Redwood Plywood Furniture Grade) Spec. Size 1220mm*2440mm&1250mm*2500mm or as your demand Thickness 2.4mm--30mm 1/8inch(2.7-3.6mm) 1/4inch(6-6.5mm) 1/2inch(12-12.7mm) 5/8inch(15-16mm) 3/4inch(18-19mm) Glue MR/E0/E1/E2/WBP/Melamine Face/Back Okoume, or as your demand Grade BB/BB;BB/CC;CC/CC Core Poplar;Hardwood;Pine;Birch or as your demand Moisture 10%-16% Thickness Tolerance ï¿½ï¿½6mm (+/-)0.2mm to 0.3mm 6-30mm (+/-)0.4mm to 0.5mm. Usage Usage Adequate for making furniture or construction, packing or industrial MOQ 1*20 ft container(22CBM) Payment T/T or L/C at sight Delivery Time Within 6-20days after receiving deposit or original L/C at sight. Packing Inner Packing 0.2mm plastic bag Outer Packing Steel strip or PVC for strength,plywood sheet or Carton covering Quantity 20'GP 8pallets/22CBM 40'GP 16pallets/45CBM 40'HQ 18pallets/53CBM. uper quality plywood with competitive price 1.Size:1220*2440*3-40mm 2.Core:poplar/hardwood etc 3.Glue:WBP/E0/E1/E2/Melamine Face/back Okoume,red cedar Core poplar,hardwood,poplar and hardwood mixed Grade BB/BB, BB/CC, DBB/CC,Industry Grade Glue E0,E1,E2,WBP,Mr,Melamine. Size(mm) 2440X1220, 2500X1250, 2500x1220 Thickness(mm) 4-30 1/8inch(2.7-3.6mm) 1/4inch(6-6.5mm) 1/2inch(12-12.7mm) 5/8inch(15-16mm) 3/4inch(18-19mm) Moisture 10-15% Thickness tolerance ¡¡§16mm +/-0.2mm to 0.3mm. 6-30mm +/-0.4 to 0.5mm. Packing For transportation of Ocean and Land, Inside Pallet is wrapped with 0.2mm plastic bag, Steel strip or PVC for strength, More than 2mm plywood sheet or hard paper covering all the sides left, right,top and bottom. Quantity 20GP 8 pallets/21M3 40GP 16 pallets/42M3 40HC 18 pallets/53M3 Usage Usage Adequate for making furniture or construction ,packing or industrial. Min Order 1x20'ft container Payment T/T or L/C at sight Delivery time Within 10-15 days after receiving deposit or Original L/C at sight For transportation of Ocean and Land, Inside Pallet is wrapped with 0.2mm plastic bag, Steel strip or PVC for strength, More than 2mm plywood sheet or hard paper covering all the sides left, right,top and bottom. Products name: lvl beam Specification Core: poplar, , pine, red hardwood core Glue: melamine glue, wbp glue, f4 star glue F&b: okoume veneer, red hardwood veneer, as customer required Size: 1220x2440mm, as customer required (max length 8000mm, max thickness 300mm) Production ability: 6, 000 cbm per month. Wooden pallets, steel band and carton. Jiangsu Sainty Bancom Pro-Trading Co., Ltd.
Products name: film face plywood Specification Core: poplar, combi core, eucalyptus core, pine, red hardwood core Layer: 2 times forced and 2 times sanded or as requested Glue: melamine glue- (6 hrs boiling test), wbp glue- (above 8 hrs boiling test) Film: chinese black/brown film, dynea film, anti-slip film Edge: red waterproofing glue painting Size: 915x2135mm, 1220x2440mm, 1250x2500mm, 1500x3000mm Thickness: from 6mm to 30mm Production ability: 12, 000 cbm per month. Wooden pallets, steel band and carton. 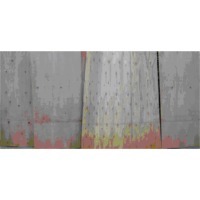 Film faced plywood (full poplar) Film faced plywood (full poplar) 1. Film: black (240g/m2, local) 2. Dimension: 1220 mm*2440mm*18mm 3. Grade: a/a 4. Glue: wbp 5 water ratiof_10% 6.Thickness tolerance: f+0.5mm Other specification as request. Shandong Kaiyuan Wood Industry Co., Ltd.